Coming Soon… Hammer Black Widow Nasty! It’s about to get nasty. 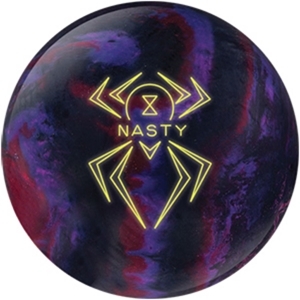 Hammer bowling is pulling out all the stops for what will be the final addition of the legendary Black Widow line, the Hammer Black Widow Nasty. The Hammer Black Widow Nasty will be the Widow with the most backend ever released! This ball will be released on Dec. 15th! Coming Soon! Ebonite Magic Action! Some say its performance is like magic; we say its excellent design. The Ebonite Magic Action is the perfect complement to the Ebonite Magic and Ebonite Magic Touch, designed with more length in mind. We use the Flexol Super Plus Reactive coverstock and combine it with the Magic Symmetric Mass Bias Core and the results are mind blowing. 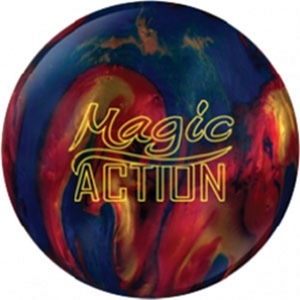 The Ebonite Magic Action provides supernatural pin action every time. Scheduled Release Date is December 1st! The Track 920A was designed to be more Angular on medium/heavy oil patterns than the Track 715A. Built on the LEGGO core platform, the designers modified it by raising the RG to 2.57 and tweaking the horsepower of the core (Intermediate Differential) to .020, thus gaining extra length while still having plenty of hitting power. 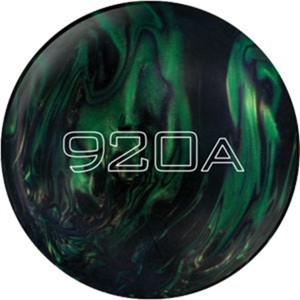 The coverstock chosen for this ball is the HP Gen 3 with Performance Pearl. The Pearl helps to make it more Angular on the backend. The surface is 4000 grit Abralon sanded. Each new ball from Track will include a microfiber cleaning pouch with instructions on its use.